This Thursday Men’s European Champions League continues by the first quarter-final game, as actual winner will host ten times champion of Old Continent: AS Pontoise Cergy – Borussia Dusseldorf (19h45 CET, live and free on LAOLA.1tv). Both sides have the same goal, to win this prestigious competition and both agree that chances are 50-50! 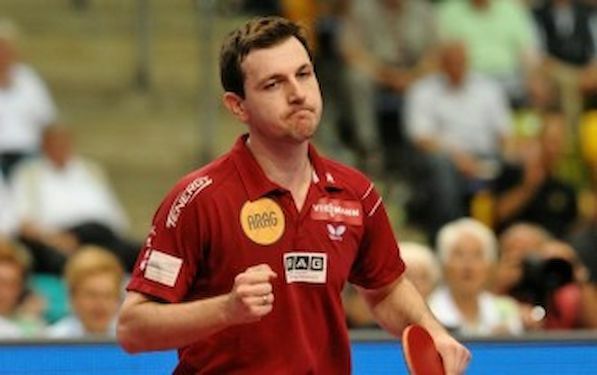 “Pontoise is our biggest challenge in this season” stressed Timo BOLL for Borussia`s website. “Marcos FREITAS became a real top player, Kristian KARLSSON develops his play, while WANG Jian Jun is dangerous for any player. When they have a good day, they can beat everybody, as they did last season. They are not accidentally the best MECL club”. It will be interesting to see new meeting between former Borussia`s Marcos FREITAS and six times individual European champion Timo BOLL. Pontoise`s no. 1 player beat great German in decisive game of the recent final of TMS Team’s European Champion held in Lisbon. Portugal defeated Germany 3:1 and the same score was in the clash between FREITAS and BOLL, in the last, fourth match. “This is the time when we need to confirm how strong we are exactly”, emphasized Borussia`s manager Andreas PREUSS. Both sides played excellent in group stage. Borussia finished on the top of Group D, as one of two undefeated clubs after six rounds (UMMC is the other one). Pontoise concluded Group A by the 3:0 away win against 2014/15 MECL top seed Fakel Gazproma Orenburg, but Russian champion went to the quarter final as no. 1 in the group. Good news for Borussia`s coach Danny HEISTER is that Patrick FRANZISKA has recovered from injury and he will join the teammates in France. Rematch will be held in ARAG CenterCourt in Dusseldorf, on January 23rd (19h00 CET).